An ugly divorce is often a slow, grueling process. You need to buckle up and prepare for the ride. You may find yourself in the throes of an ugly divorce. You may feel weary, hopeless, small, and terrified. If you’ve just left an abusive relationship, odds are that those feelings are even more magnified. Many women come into my office absolutely frozen with fear based on threats their husbands have made or ideas their husbands have put in their heads about how things are going to end up if the wives pursue divorce. The vast majority of the time, these are empty threats and utter fabrications. First things first…don’t take legal advice from the abuser whom you’re leaving! Don’t accept what he says as fact. Talk with a lawyer who can give it to you straight, according to the law and their experience with the local courts. 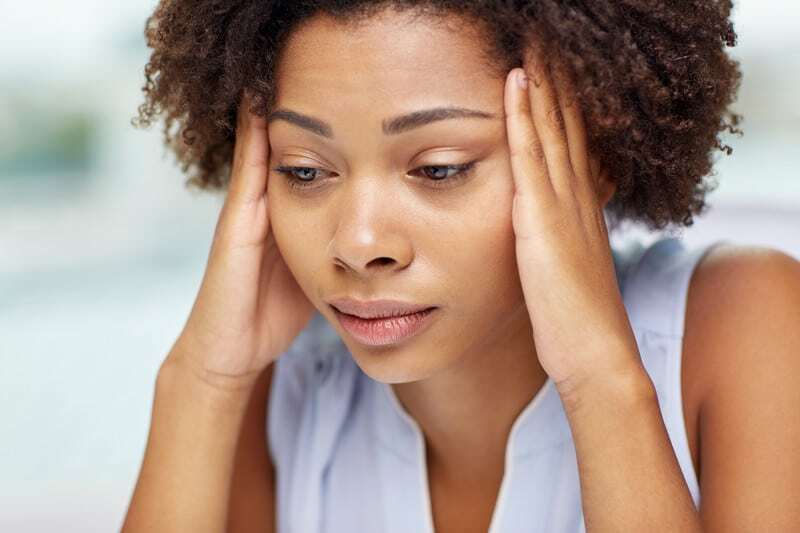 If you’ve made it to the point where you have decided to leave your abusive relationship, you may feel lost in the chaos of it all and find yourself needing a roadmap of sorts. In this article, I’m going to walk you through a few of the most common obstacles I have encountered in representing survivors of abuse in their divorce and custody processes, and I’ll provide you with some tips to help overcome those hurdles. On the battlefield of divorce, remaining calm, cool, and collected is the most important thing you can do. Many times, divorce turns into a game of endurance. Motions, meetings, court dates, discovery, mediations, negotiations… It can all feel absolutely endless. Know that this is a marathon, not a race. If you can get yourself in a healthy mindset, you will maintain an invaluable advantage through the entire process. The courtroom may be the first time you’ve seen your ex in a while. Don’t let that phase you. Prepare yourself that both he and his lawyer are likely going to portray you in the most negative light possible. Your ex’s testimony may feel embarrassing, infuriating, and unfair, but do not let that get under your skin. You absolutely must remember to be on your best behavior in court. Always remember to be polite, courteous, and calm during cross-examination. Your ex’s lawyer will likely try to get you riled up and make you look bad. Do not let him win! Prepare yourself ahead of time to keep your cool under fire. Part of the reason most abusers are able to win over good, innocent women in the first place is their ability to lie well and their charming personality. Expect your abusive ex to go full throttle in this area during the contentious legal process. Trust that your attorney will come back swinging for you, in a professional manner. You will have your chance to put on all of your own evidence and testimony. Begin making an organized timeline of any abusive events that occurred during your marriage. List out all of the negative things you believe can be used against your spouse in litigation. Provide this to your attorney early on, and she will decide how to best use the information. The judge in your case holds an incredible amount of power in making decisions about your life. If you let your emotions take over by displaying anger or bitterness while testifying, it could be devastating to your case. Your judge doesn’t know you. He or she gets to hear you testify for a very short amount of time, and you want to make the best impression possible. At some point, you must trust that there is power in the truth and that it will prevail. Judges hear countless cases, and you would be surprised as to how much of the same old stuff circles back around to their bench. They tend to see through façades. Have confidence in your judge to make the right decision. Once both sides have put on all of their evidence and testimony, judges have a burdensome job. They know that their decision directly impacts your life. In custody cases, they have very broad discretion, and usually, they can make any decision that they believe to be in the best interest of the child. You may feel as though the final ruling wasn’t completely fair. Rarely does one side leave the courthouse feeling like they won by a landslide. Know that some things are simply beyond our control. I often remind my clients that sometimes, true justice doesn’t always happen in the courtroom, but eventually it will always play out somehow, someday. No one is perfect. If you’re nervous about the potential outcomes of a family lawsuit because of mistakes you’ve made or choices you’re not proud of, there is no one better to discuss this with than your attorney. If you believe there is any claim that your husband can make against you to harm your side of the case, your lawyer can explain any impact that negative information may have. The more we know, the better we are able to represent you, both before and during court. Ask any lawyer, and they’ll tell you that their most frustrating cases have been when they spent countless hours with their client preparing the case and getting ready for court, only to put their client on the stand and learn of some egregious information during her cross-examination that totally skewed the case. The thing is, in almost every case of mine like that, if I had known about it beforehand, I could have planned for some damage control. Help us help you! If we know of any negative or potentially harmful information right off the bat, we can do our best to conceal as much as the law will allow us, to frame any information in the most positive light, to develop defensive and offensive tactics to counteract it, etc. It’s all part of developing the game plan. Criminal records, drug or alcohol issues, extramarital affairs, suicide attempts, CPS involvement, and child abuse allegations are all just some of the things that you want to be sure to mention to your lawyer. You should also tell your attorney of any mental diagnosis you may have so that she can begin to prepare to defend that and collect testimony and evidence to prove that it doesn’t affect your ability to parent well. When you leave an abusive relationship and you share children with your ex, this complicates things even further. Many women ask me if they can withhold visitation with the children from their ex. Sometimes they tell me that they never want their children around their ex again. This is understandable if the ex has been abusive to them in front of the children or has been abusive toward the children themselves. Emotions and fear may be running high. Believe it or not, unless there is proof of severe physical abuse or sexual abuse, most judges will not permanently order “no access” between a parent and their children. More likely, if there is good cause to stray from a standard possession order, they will order supervised visitation or some sort of stricter terms of access. It is important to know that until the court issues orders regarding access and possession of the children, both parents usually have equal rights of access to the children. Ask your attorney to schedule a temporary orders hearing (where orders are put in place to control things while the case is pending) as soon as possible. Many psychology studies support some sort of healthy reintroduction between parents and children, and the spirit of the law usually leans toward chances for rehabilitation as well. Be prepared for and remain flexible to the possibility of a more creative parenting plan that will encourage a healthy relationship between your ex and your children while still keeping your children safe. You don’t have to portray your ex as a saint, but remember that he is also their parent, and do your best to respect that, for the children’s sake. One day, they’ll probably learn the truth, but for now, let them be children. The divorce process is usually devastating for them as well. As difficult as it may be for you at this point, try to keep your speech and behavior appropriate at all times for your children. Be careful that you don’t become guilty of “parental alienation,” which is when one parent intentionally isolates the children from the other parent by not allowing visitation, restricting contact, or talking badly about the other parent in the presence of the children. All judges frown upon this, and if you engage in this kind of behavior, it will come back to bite you. Even if your ex has been abusive toward you, you still want to be very careful to avoid giving your ex any ammunition he could use against you to convince the judge that you’re trying to turn the children against him. I know the thought of allowing an abusive spouse any sort of access to your precious children may seem crazy, but there are other ways to handle the situation that will protect you and your children physically, emotionally, and legally. If you’re concerned about visitation before the court is able to make orders, require that someone you trust be present to supervise or that visitations take place in a public place. That way, you can’t be accused of not allowing the children to see their other parent. There is a caveat to this: if there has been physical or sexual violence against a child, you certainly have a valid excuse to withhold visitation for the safety of the child. Use your best judgment in any case, and know that if you have a compelling reason to withhold visitation, you can always explain this to the judge if need be. Safety is of utmost importance at all times. Lastly, keep a good record of everything. If you have a spouse that hasn’t exercised his visitation with the children, mark down the dates and times he missed on a calendar. Also, keep track of any child support payments or lack thereof. Provide these records to your attorney for use in your custody case. If you’re in a community property state, know that any property accumulated during the marriage, regardless of whose name it may be registered in, belongs equally to both spouses until a court makes orders over that property. This is another reason to have your attorney schedule a temporary orders hearing as soon as possible. Property is another area in which you should try to keep meticulous records. If you’re going to allege that certain property is separate and belongs only to you, start collecting and organizing the evidence to establish that. Keep track of your spending and your accounts. Know that most jurisdictions have rules that go into effect once you file for divorce that prohibit a spouse from moving around property and money or changing accounts in any way while the divorce is pending, so be careful to seek your lawyer’s advice before making any big decisions about finances or any type of account. If there are particular items of property that you want your lawyer to fight for, start organizing a list of those items and provide that to your lawyer early on in the process. When it comes to personal effects, you usually don’t have to get too specific, but if there are particular things you are adamant about keeping, make sure you include those on your list. Some women find counseling very helpful during the divorce process. I always tell my clients to give counseling a good shot. If you hate it, you don’t have to keep going. But try it out, and you may find it to be tremendously helpful. Others turn to their support network of friends, family, and church. Wherever it can be found, a support system is vital during this chapter of your life. Isolation is one of the worst things you can do at this point. Many women enjoy improving their mindset and their overall outlook on life by exercising or taking up new hobbies. The bottom line is, make whatever changes you need to make to help you feel confident and empowered. It will do wonders to help carry you through the divorce process. When going to court, dress conservatively and professionally. Impressions and appearances are huge when it comes to judges forming their overall opinion of you, particularly in custody battles. Your lawyer can help you with suggestions on this if you need. Especially if this divorce is no fault of your own and you’re leaving an abusive relationship, you may feel lost trying to find yourself again and confused about how to take care of you. You may feel furious that you are left having to do so much work when he is the one who inflicts abuse and chaos. Keep in mind that you have promising new chapters ahead of you. George Herbert said that “Living Well is the Best Revenge.” I believe that, and I’ve seen it work beautifully! Divorce is often a slow, grueling process. You need to buckle up and prepare for the ride. You may feel strong and capable one day, then weak and exhausted the next. It’s an emotional rollercoaster, and it will likely be one of the most difficult processes of your life. Know that this, like all things, will eventually come to an end. Keep your ultimate goals in mind, especially if you have children involved. Find a lawyer who fits your needs and personality. An adaptable one who can oscillate between fierce and delicate, depending on what is needed is usually best. You will need to place a lot of trust in whichever attorney you choose, so decide carefully, as changing lawyers in the middle of the process can add extra complication and expense. If no one has told you, I’d like to be the first: You can do this! It’s not easy to make the choice to walk away from abuse. Take pride in your newfound strength and independence. Lastly, try to remember through it all that there are brighter days ahead.